I’m a coach, astrologer, and writer. “Storyteller and Crossroads Guide” is the basket in which I contain these offerings. Everything in this basket—stories, conversations, and stars—is medicine for the modern world. Interested in Coaching? Your first session is free! The founder of Book Passage talks offering 900 events and handpicking books for faraway recipients. We spoke with Elaine Petrocelli, founder and president of Book Passage, about her three stores and the 900 events they put together every year. We chatted about Book Passage’s dual mission: to sell great books and to help people get their great books published. Between writing classes, language classes, writer’s conferences, cookbook-themed lunches, and a thriving book club named after a customer’s real Aunt Lydia, we’d say they’re definitely accomplishing that mission. The owner of Jackson, Mississippi's Lemuria Books on 42 years at the helm of an indie bookstore. John Evans and his wife opened Lemuria Books, Jackson, Mississippi’s local bookstore, out of a converted apartment in 1975. They sought to provide their community with harder-to-find alternative titles, rooted in books about psychology, art, metaphysical genres, and spirituality. 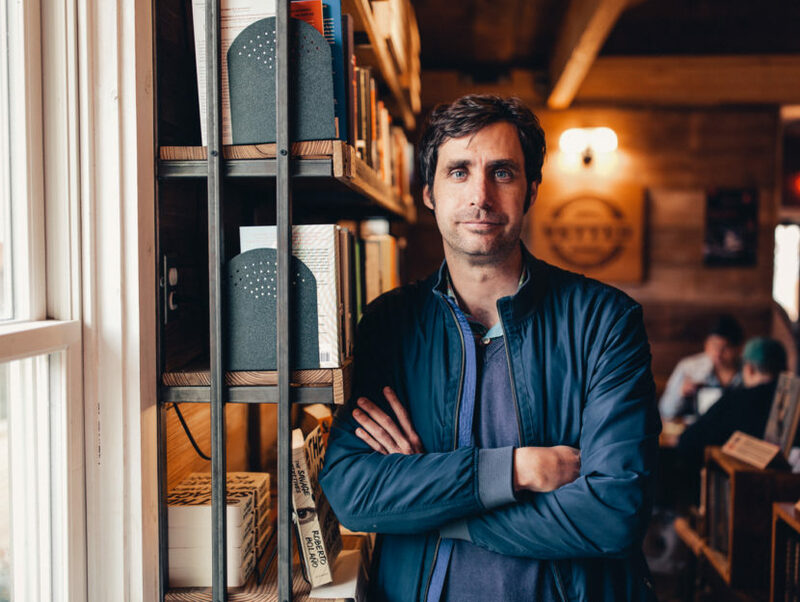 We spoke to John about his journey with Lemuria, a store with a “book juke joint” and the undying commitment to real print books that vibrantly suffuses John’s life, and Lemuria’s mission as well. The co-owner of Porter Square Books reflects on bookstore ownership as a (joyful) midlife crisis. David Sandberg and his wife, Dina Mardell, own Cambridge, Massachusetts’ community bookstore Porter Square Books, along with nine of the store’s employees. We spoke with David about bookstore ownership as a form of community stewardship, how he views bookselling as a vital ecosystem, and the measured decision to sell part of Porter Square to the booksellers who work there. When Mike and Hilary Gustafson opened Literati Bookstore in Ann Arbor, Michigan, they decided to put a typewriter on the ground floor just for fun. They never expected the constant flow of anonymous notes left by community members, ranging from funny to confessional. Now, Mike and Oliver Uberti have compiled a collection of these letters, titled Notes from a Public Typewriter. We spoke with Mike and Hilary about the book, some debut novels they’re excited about this year, and Literati’s typewriter-inspired bookstore marriage proposals. Meet one of the owners of Dallas’ The Wild Detectives, a bookstore that’s evolved into a hotbed of literary intellectual conversation. Javier García del Moral and Paco Vique opened The Wild Detectives after ten years’ friendship, during which they enjoyed countless discussions about literature, film, and music. With The Wild Detectives, they intended to create not only a bookstore but a place for conversation and social gathering. The combination bookstore and bar has become an anchor for the literary scene in Dallas, Texas. We spoke with Javier about talking culture, the importance of triggering curiosity, and how they’ve chosen to curate the books they sell (hint: it involves a lot of trusted bookish friends). Meet the dynamic new owners behind Women & Children First, a Chicago-area indie powerhouse store and a place of vibrant and progressive literary activism. Sarah Hollenbeck and Lynn Mooney are the new owners of Women & Children First, a landmark feminist bookstore in Chicago. Sarah spoke with Read It Forward about the bookstore as a space of identity creation, the vital need for diversity in children’s literature, and most inspiring bake sale known to womankind. Booksellers Vina Castillo, Holly Nikodem, and Natalie Noboa opened Kew and Willow in October 2017, after a successful crowdfunding campaign on Kickstarter. The aim was to bring another bookstore to Queens, New York because at the time there was only one general bookstore in the whole borough. People pitched in with enthusiasm! The result is a lovely community-supported store with an adorable children’s space and three happy booksellers. Read It Forward talked to two of the owners about the importance of neighborhood stores, the joy of handselling, and the special relationships between readers. When author Emma Straub and her husband Michael Fusco-Straub opened Books Are Magic in May of 2017, their community in Brooklyn, New York immediately embraced it as their new neighborhood bookstore. Emma and Michael recently spoke with Read It Forward about creating a welcoming space for all customers, the smart, young women writers they love, and the magic of a poetry gumball machine. I wasn’t old enough to be into Twin Peaks when it aired in 1990, so it wasn’t until the revival aired this year that my husband and I started watching the show from the beginning. Naturally, we became obsessed with it, and we’re not ready to let it go yet. If you, like me, aren’t over Twin Peaks, here are 14 books you can read to keep the magic alive. You’ve got the tarot cards, the pretty rocks, and the dream journal. But there are so many books on spirituality and wellness that it can be hard to know where to start. Here are some guides from smart, funny authors who get what it’s like to try centering yourself in 2017. For couples who love literature, there’s nothing more romantic than a literary wedding. And there are so many ways to incorporate books into your wedding! From over-the-top fantasy weddings with guests in full costume, to vintage weddings with a few literary details, these couples will inspire you as you create your own love story. It’s almost Valentine’s Day, a day that, let’s be honest, is really all about candy. Whether you have a sweetheart or you’re celebrating with your friends, make some time to curl up with the only one-on-one you really need: you plus a good book. Add some chocolate and you’ve created the perfect date! Here are my matchmaking suggestions for readers who love chocolate. Even people who love to read are sometimes intimidated by poetry. Poems, to people who don't read or write them, can feel like little coded messages intended to confuse others. In short, reading poetry requires more effort than people would like to put in. But it doesn't have to feel like such a struggle. When readers approach poems with curiosity and openness, they're usually pleasantly surprised. Here are seven books of poetry that non-poetry readers can enjoy. Your book club is about reading, we know, but it's just more fun when you share a glass of wine and a good laugh at your meetings. Wine, reading, and literary discussions all go so well together that we thought we'd pair some of this Fall's best books with some suggestions for complementary vino. Have a glass of celebratory champagne while discussing Lauren Collins' memoir When In French: Love In a Second Language, or bond over Rosé and Phoebe Robinson's essays in You Can't Touch My Hair. And, hey, if you don't belong to a book club, relax with a glass of wine while you read! You deserve it. If you’re a fan of High Maintenance, the Vimeo web series that recently expanded into 30-minute HBO episodes, you know that it’s about a lot more than weed. Each episode is a glimpse into the interior life of a new character who is connected to The Guy, in a web of people who all buy from the same dealer, but rarely (if ever) connect with each other. Some of the stories told in High Maintenance are heartbreaking, while others are hysterical. Most of the time, an episode will hit on a poetic combination of comedy and tragedy. Co-creators Blichfeld and Sinclair are telling the literary short stories of the television world. So while you’re waiting for the next HBO season, why not continue peering into the unique lives of imagined characters by reading some short story collections? Double, double, toil and trouble...when it’s time for Halloween, it’s time for witches! Whether your version of a witch is green of skin, bald with claws, a colonial woman in Salem, or a modern polytheist, Read It Forward has a book for you. Curl up with the charming Owens sisters or discover the fascinating underground world of magic in America with journalist Alex Mar. Travel to present-day Salem, Massachusetts with J.W. Ocker and then learn about the city’s notorious witch trials through Stacy Schiff’s historical research. Forever mysterious and fascinating, the figure of the witch is here to stay in our collective imagination. Which witch will you choose on this spooky All Hallows Eve? In response to our increasingly work-obsessed culture, adults everywhere are finding fun ways to escape twenty-first century busyness and reconnect with creativity. People are trying everything from laughter yoga to finger-painting. It sounds silly, but it’s not: play can improve brain function, inspire creativity, and relieve stress. If you’re trying to reconnect with your sense of play, start with the following books. What word nerd hasn’t underlined a favorite passage, or taken the time to copy a favorite quote into a journal? Readers adore quotes that eloquently describe the human condition. And the best quotes for readers are often ones about reading, because…uh, we love it. Here are thirteen quotes about reading that will inspire you to pick up a book right away. Summer is the season for adventure and for many, that includes a trip to a nearby body of water. Some people enjoy summer activities like sailing, kayaking or waterskiing, and some just prefer to sit on the beach or sun themselves on the deck of a boat. No matter how you choose to relax, we know you always bring a book along to keep you company. It’s not too late to take a trip out on (or near) the high seas this summer. And when you do, pack one of these nautical reads to really get you in the mood. All readers can recall certain books that changed their perspectives forever. The first time reading what became your favorite novel; a timely discovery of the philosophy by which you now live. Sometimes a book affects you so much that you become a book-vangelical, telling anyone who will listen that they have to drop everything and read this. And then there are some books, too, that are intended to change the lives of many people, and succeed. Such books offer incomparably wise advice for living, allowing readers to reflect on their lives at pivotal moments. If you’re looking to change your life, consider one of the books on this list. While the vast selection of books in a famous independent bookstore like the Tattered Cover in Denver, CO is always something to celebrate, sometimes the best bookstores are the hidden gems, those out-of-the-way, hole-in-the-wall shops that we find by accident and return to on purpose. It’s something about the little-known, hard-to-reach quality that makes these places so magical. Here are seven of the most hidden and noteworthy bookstores worth going off the beaten path to explore. True confessions of a book-lover: one of my favorite genres is self-help. If there is a book out there on becoming more successful, happier, or healthier, I’ve probably read it. So when Marie Kondo’s The Life Changing Magic of Tidying Up hit the shelves, I was her ideal audience member. I had accumulated too much stuff, and I wanted to eliminate clutter. I followed all of her advice. I kept items of clothing that I loved and donated what I didn’t. I disposed of old hair products and unused makeup samples and successfully kondoed my jewelry. Easy. But the books were another story. Nothing is more comforting for a bibliophile than curling up with a fun read and a mug of hot tea or coffee. Unless, of course, that mug is particularly bookish as well. Then, dear reader, you have the ultimate trifecta: a great book, a smart mug, and a contented you. Whether you want to toast your favorite classic or celebrate books of all kinds, the internet has a mug to suit your taste. Writing a cover letter for submission to literary magazines is a skill rarely taught in creative writing classes or workshops. That’s because teachers want their students to focus on the craft of writing, not on the lure of publishing. Writing and publishing are very different; one can be an artist without ever participating in the business side of art. At the beginner’s level, student work isn’t usually ready for publication anyway, and focusing on the art of writing should be the priority. But by the time writers are ready to send their work off to literary magazines, the cover letter still seems to be a mystery to many. Sometimes words just don’t describe our experiences as well as random video clips, and that’s OK, because tumblr has given us #whatshouldwecallme and a variety of spin-off blogs that never fail to amuse us when we should be doing something more productive. On March 29, 2013, the Hatton Gallery at the CSU Visual Arts Center was packed with the friends, teachers, students, and proud family members of third-year MFA students Mickey Kenny, Derek Askey, and Joanna Doxey. Everyone came to hear the three writers’ final readings, a celebration of completing the MFA program and graduating with their master’s degrees. This event was especially important to the Center for Literary Publishing because Joanna and Derek serve as associate editors of Colorado Review. Though the title of this book is paradoxical, it becomes oddly accurate, as Solnit guides the reader into an introspection and a comfort with not knowing, with being lost. It is one of those text-artifacts that is what it means, in that Solnit not only writes about various ways of getting lost, but has a language that spirals in on itself, refusing clarity in search of a deeper grace. From meditations on blueness, to story-songs that map landscapes, to white settlers (or invaders) taken captive by Native Americans in the 1800s, and through her own flirtation with punk rock, Solnit leads the reader on a fascinating, meandering tour. Stay in touch! Sign up for my coaching newsletter.